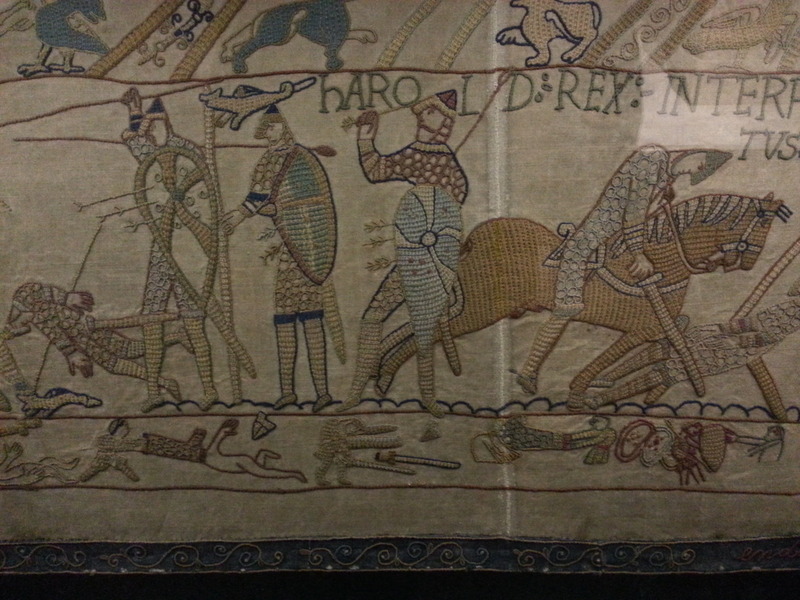 The Bayeux Tapestry is wrapped around the walls of an entire floor, and except for some modesty shorts sewn onto a previously naked man by the propriety-conscious Victorian ladies, was a faithful copy of the original, which is housed in Normandy. It tells the story of Harold and William the Conqueror, with lots of neat little details, like random body parts scattered across the bottom of the combat scenes. It was probably better than actually going to France, since I am lazy and my French is not the best, except for the fact that I had to satiate the overwhelming croissant craving that came upon me with a sub-par English croissant from the M&S across the street, but we all must make sacrifices. 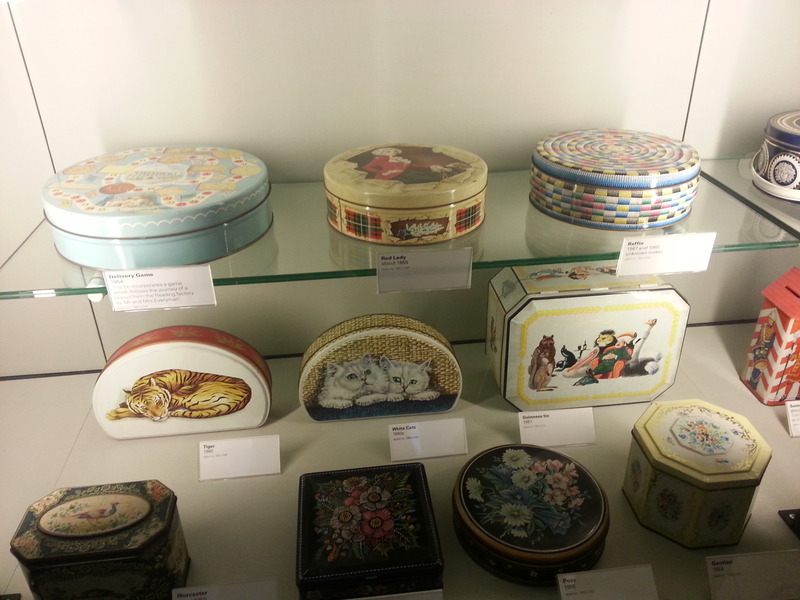 But the Museum of Reading had another redeeming, and very British feature: Biscuits! The top floor of the museum was mostly devoted to taxidermy, Roman history, and some random Victorian oil paintings, and we circled around three times looking for the biscuit room. We finally asked a man working there, and it was hidden down a back hallway that was accessed via the taxidermy room. 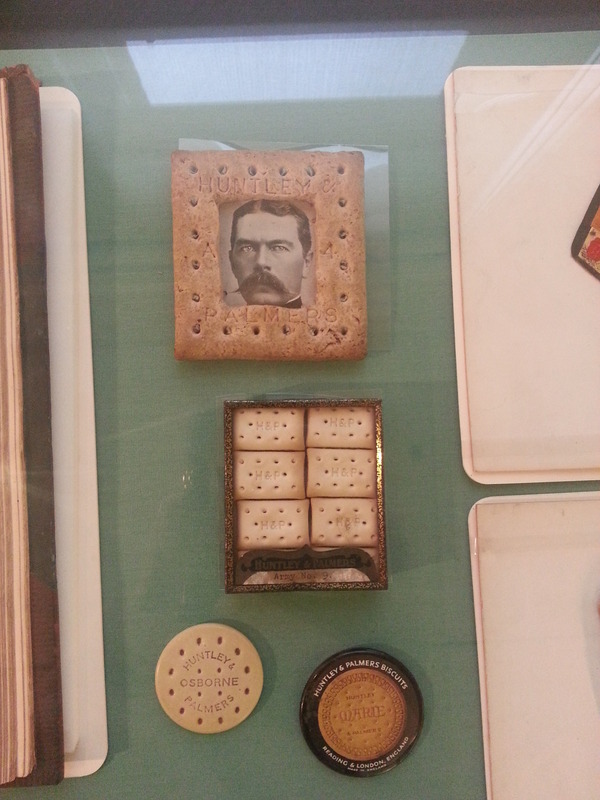 I’m glad we eventually found it, because I would have been unspeakably upset had I left the museum without seeing the biscuit framed picture of Lord Kitchener. Other highlights included a John Ginger pin (to promote Ginger Nuts), random stale biscuits that had survived to the present day (one of them had even been in a fire! ), and the classic sad-eyed kitten biscuit tin. Though the original Huntley and Palmers is long defunct, a new company is making biscuits using the name, and you can purchase them in the gift shop. We tried the “Seriously Knobbly” dark and milk chocolate ones, and they were indeed “moreish” as the packet promised, though not on the level of Fortnum’s chocolate digestives, which is my idea of biscuit perfection. So after spending far more time at the Museum of Reading than anticipated, because the biscuits tins were indeed that enthralling, we only had 90 minutes to see both the Royal Berkshire Medical Museum and the Museum of English Rural Life before they shut. We headed to the Medical Museum first, which is in a section of the actual Royal Berkshire Hospital, and required us to walk down this really sketchy looking dank tunnel to get to it. The entire museum fit into one room, and was a pretty standard medical museum, with the exception of a nice little collection of glass eyes. The people running it were very friendly and helpful, and they had loads of information cards scattered around the place, which was nice, but it seemed like their target audience was people interested in the history of the hospital itself. I enjoyed it, and the volunteers was obviously passionate about the place, which was wonderful to see, but I don’t think it’s worth a trip in itself, though by all means stop by if you’re in Reading anyway on the first or third Sunday of the month, as they could use the support. Finally, and only half an hour before closing (it was across the street from the hospital, but there was no way to cut through the hospital buildings, so we had to walk the long way around, which took FOREVER), we made it to the Museum of English Rural Life. It was basically a ton of random farming implements and other crap scattered around a massive warehouse-type building, but I quite liked the setup, since it reminded me of my Grandpa’s barn. The collection was mostly wagons and ploughs, and some amusing and excellently beardy photographs of various Victorian and Edwardian men with archaic occupations, like molecatcher. 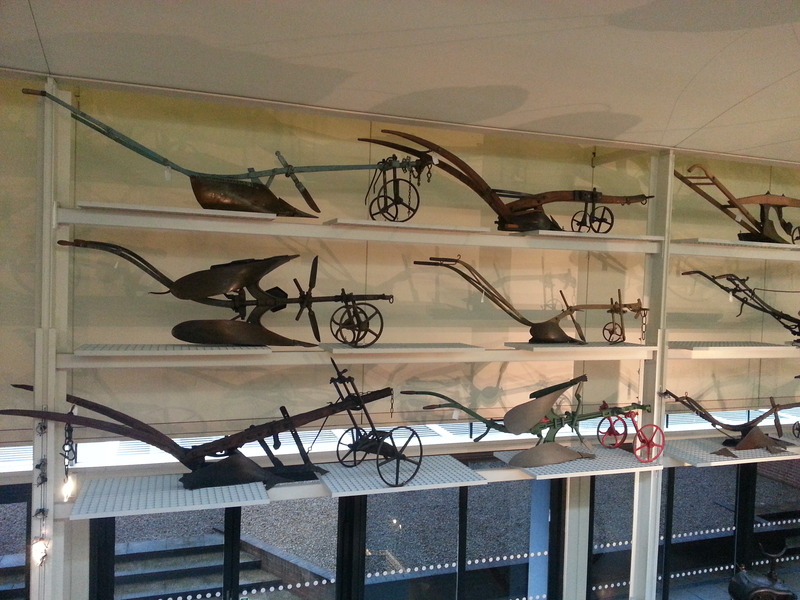 I could dig it, since I kind of have a weird obsession with the Little House books, and being able to see all the different types of farm tools helped me visualise stuff in the books a bit better, but it admittedly wasn’t the most enthralling of museums, and half an hour was probably ample time to see it. It might be better if you have kids, since it seemed like it had a few special activities for them to take part in. Still, all in all, it was a solid day out, and certainly better than our London outing the day before.